If you want to make a change in your life, or in your homeschooling, what do you do? After reading Better Than Before: Mastering the Habits in Our Everyday Lives by Gretchen Rubin, I started thinking more about how my daily habits have a large, residual affect on my goals. Bringing about change in my life is not just about trying some new tricks and strategies; it’s ultimately about what daily habits I have in place. If we determine our goals and then decided what habits are necessary to reach those goals, we are freed from constant decision-making and having to garner up self-control in the face of new opportunities. Habits enable us to routinely work toward our goals without having to put a whole lot of continual thought into it. 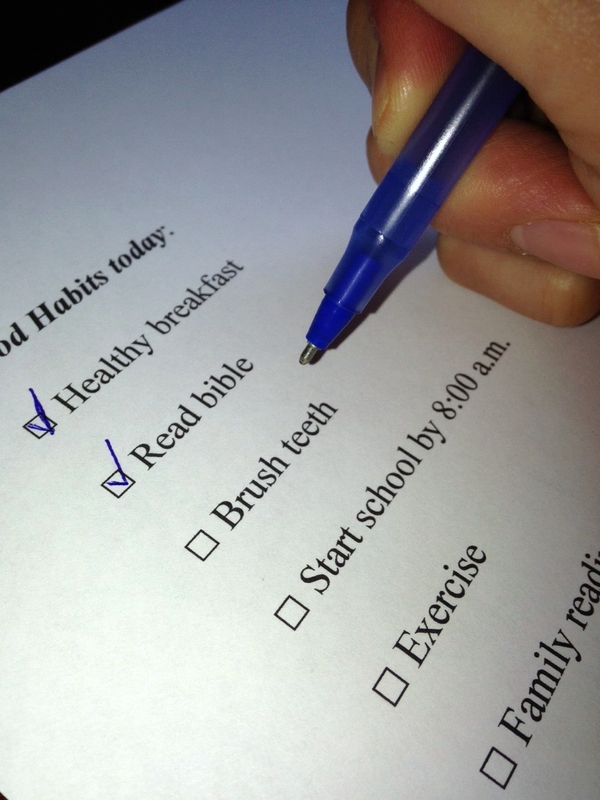 While a habit can be any routine activity, there are certain habits that are foundational. These habits most directly strengthen self-control and protect us from being so taxed that we cannot manage. Rubin believes these foundational habits relate to the following four areas: sleeping, b) moving, c) eating and drinking right, and d) uncluttering. I would also add that, for me personally, the habit of reading my bible keeps me spiritually nourished and that’s foundational also. What habits do I have in place that will help me have a good foundation so that I can achieve my goals in homeschooling this year? Am I trying to stay fit so I have the mobility and stamina to take care of my children’s needs? Am I eating and drinking healthfully so that I have the energy I need? Have I set aside time each week/month to try to keep my home organized so it can be a more peaceful and calm center of learning? Of course, most everybody already has habits in place that help them reach their goals. We brush our teeth every night so we have good dental hygiene. It’s not something we think about doing every day, we just do it habitually, and it helps us reach our goal of having healthy teeth. In our family, we start our day with bible pretty much everyday, for instance, because I want my kids to understand our faith and to have a relationship with God. I don’t have to think about it; we just do it. Better than Before got me thinking about what other habits I want to implement in order to reach my personal goals. Here are four that I came up with. 1) Rise early to get a jump-start on my day. First let me say that, this is not intended to make anyone—especially sleep-deprived moms—feel guilty. There have been many months in recent years when I needed every second of sleep I got. Now that my youngest is sleeping through the night (hopefully I’m not jinxing myself by saying that!) I need to start getting up earlier so I have more time to think and plan. When I get up before my kids, it’s amazing how the day goes so much more smoothly. 2) Guard our mornings. I need to be in the habit of just saying “no” to requests for playdates and temptations to run errands during the morning. If we don’t get the bulk of our subjects done before noon, it just doesn’t get done. 3) Schedule a two-hour time slot every week to get projects done. There are many projects that don’t have a concrete deadline. This semester I will mark off time on my calendar every Thursday to focus on these projects because they constantly distract me, loom over my head, and drive me crazy. I’m sure you know what I’m talking about: things like home organization and putting photo albums together. If I can start to slowly chip away at these things, and have a safeguarded time slot for them on my calendar, I won’t feel guilty on Monday morning that my pantry is a wreck. I will remind myself that these things will get done at another designated time and now we can focus on school. 4) Start a weekly, or at least semi-monthly, habit of Family Fun Night. This will foster closeness in our family and it will help us create positive memories together. I want to be intentional about having fun as a family. 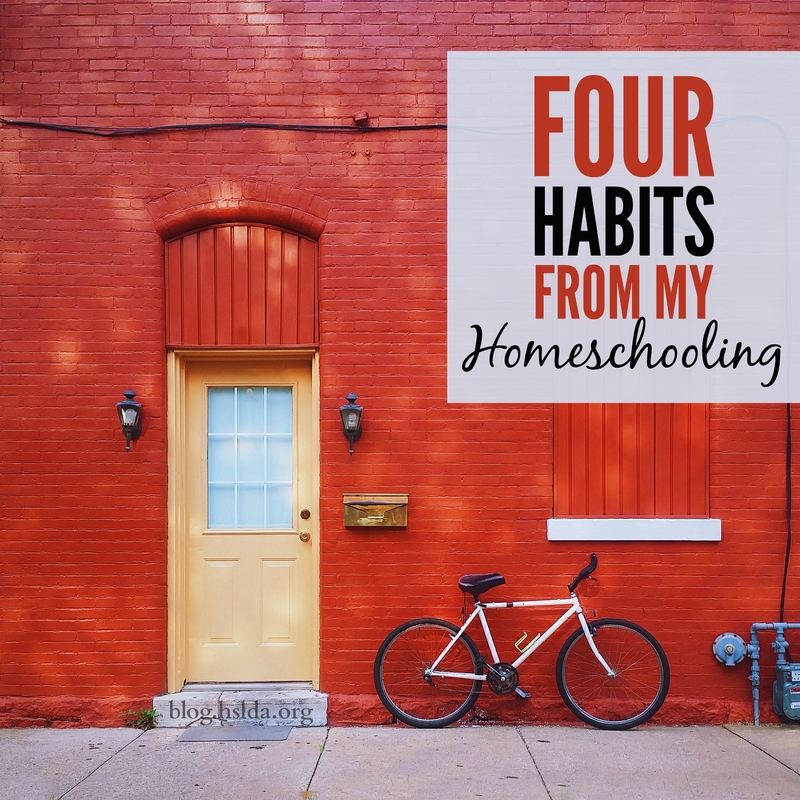 If you have formed some helpful habits, especially if it has to do with homeschooling, I’d love to hear them.